William Reigle II has been the Chief of Police since May of 2012. During his tenure the Police Department has established a bicycle patrol program, a K-9 program, added a second Officer to ESU (Emergency Services Unit), and has added two Officers to the Lebanon County S.T.A.R.T. (Serious Traffic Accident Reconstruction Team.) Chief Reigle has also overseen the implementation of the "Fill A Cruiser" Program and the Police Department's various social media platforms, including Nixle. On behalf of the Officers of the South Londonderry Township Police Department, I would like to welcome you to our website. Thank you for your interest in our Department. Hello, I am Chief of Police William Reigle II. I have been a Police Officer for over 25 years, getting my start in Annville Township where I was employed for my first ten years of service. I then began serving South Londonderry Township as a Police Officer in 2001. I was promoted to the rank of Sergeant in 2006 and served in that capacity until May of 2012. It is my honor to now be serving the citizens of South Londonderry Township as their Chief of Police. 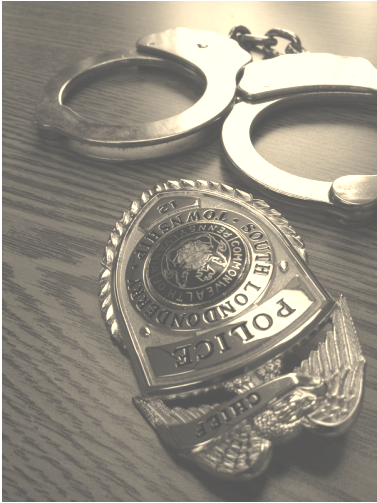 Please check around our website to learn more about the Police Department and the services we provide to the Township. If you are new to our area, please allow me to tell you a little bit about South Londonderry. It is a Township of the “Second Class” located in South Central Pennsylvania and continues to experience steady growth in population. This is primarily in the Campbelltown area located on the north end of the municipality. The Township is made up of several neighborhoods and communities within an approximate 25 square mile area with about 8000 residents. Farming is still an important characteristic of the area. We are located between Harrisburg, Lancaster, and Lebanon. Many State highways pass through, or nearby the Township making access to these areas very convenient. We ask that you please drive cautiously through our Township as you will find that walking, jogging and biking are very popular recreations in our area. The Pennsylvania State Gamelands in the southern end of the Township, along with the “Rails to Trails” offer even more recreational opportunities. If you live, work, or just visit South Londonderry Township, please give us a call should you find yourself in need of assistance. Please give us a call if you are in need of a Police service, or if you have any constructive suggestions for our Department. We can be reached at (717)838-1376, or e-mail our general e-mail at police.slpd@gmail.com.